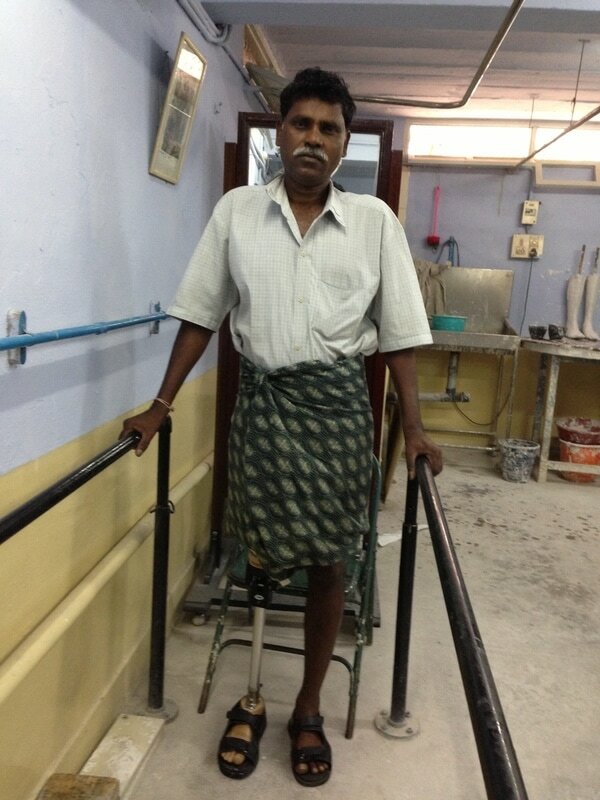 Poongan lost his leg to diabetes in 2013. While it is well know that diabetes is a growing problem here in the States, it is also a growing epidemic throughout the country of India. Ponngan is 56 years old and is married and has two children. To support his family he works as a security guard at a jewelry shop in town. He is confident that his LIMBS leg will allow him to return to his job and is especially appreciative of the manual locking option on the knee that can be engaged for those long hours of standing while guarding the shop.